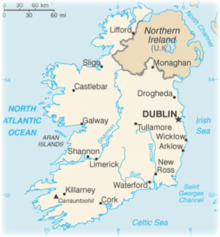 Additional Info: Split into two areas, Republic of Ireland and Northern Ireland. Considered by many to be the most spectacular mountains in Ireland, head to Northern Ireland in County Down, specifically in South Down, for the Mountains of Mourne. The best way to reach the Mourne Mountains is to head down to the seaside resort of Newcastle. This bustling little town serves as a great home base for mountain hiking and climbing expeditions. The Mournes are the most frequently visited and hiked mountains in Ireland. Hiking tours in Ireland often include the Mountains of Mourne of their itineraries. Maps and travel routes are available at local travel companies, information centers, and gas stations. The Mourne Wall is among the more famous features in the Mournes. 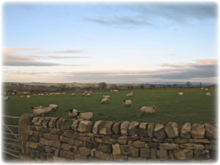 It is a 22-mile dry-stone wall that crosses fifteen summits. Try Rathlin Island, located 6 miles off Ballycastle in Northeast Ireland and 16 miles from the Mull of Kintyre in Scotland - on a clear day you can see Scotland! Many birdwatchers and hikers flock to Rathlin for its beautiful, often rare bird species and refreshing, coastal trails. Here, hiking is a little less extreme, but just as breathtakingly beautiful. The most striking feature of Rathlin Island is its brilliant limestone and basalt sea cliffs, which can reach over 450 feet. To get to Rathlin Island, visitors can take an inexpensive, 45 minute ferry ride from Ballycastle. The Ring of Kerry is a tourist trail in County Kerry, south-western Ireland. 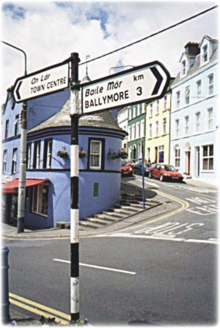 The route covers the 106-mile circular road (N70, N71 and R562), starting from Killarney, heading around the Iveragh peninsula and passing through Kenmare, Sneem, Waterville, Cahersiveen and Killorglin. Popular points include Muckross House (near Killarney), Staigue stone fort and Derrynane House, home of Daniel O'Connell. Just south of Killarney, Ross Castle, Lough Leane, and Ladies View (a panoramic viewpoint), all located within Killarney National Park, are major attractions located along the Ring. Note - on sunny summer days, the two-lane road is packed with Ring of Kerry tours, cars, bicyclists, and backpackers. Walk along the Causeway Coast - Portballintrae to Ballintoy (11 miles). This is a well-marked walk mainly on paths. 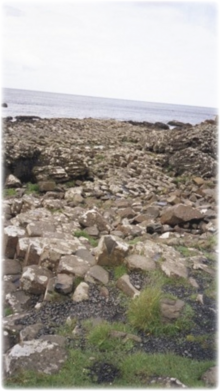 Follow the cliff-top way to the Giant's Causeway Center, then take the low road to the Grand Causeway and on past strange rock formations and secret bays, including Port na Spaniagh where the Armada treasure ship Girona sank in 1588. Keep heading west to the Dunseverick Castle and then on to Portbraddan (check out Ireland's smallest church) and continue past the Islets of Carricknaford. Then head into Ballintoy, with its boat-bobbing harbor and little white church and an exhilarating walk along the cliffs to the swinging rope bridge that connects Carrick-a-rede island to the mainland. From my journal I wrote of the day I decided to bike the Slea Head Circuit on the Dingle Peninsular as "the day where at moments I rejoiced at my last minute decision to add this place to my itinerary." It all started when I met 2 bikers in Killarney (a German gentleman and his son) who had decided to bike all over southern Ireland and looked to be having the time of their lives. 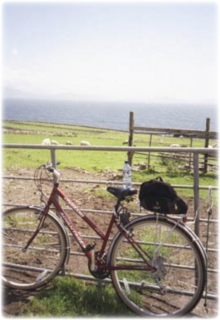 They advised me if I got chance to rent a bike, the best part of their travels so far was the Dingle Peninsular. There are numerous Bed and Breakfasts in Dingle and I just walked along the main road running through the wee town checking in to see for vacancies. The last cottage had a space so I dropped off my back pack and headed into two to find me a bike to rent. Bike secured, I was on my way. I quickly noticed that Dingle's name on the sign posts is not Dingle but in fact "An Daingean". It turns out, Dingle is one of Ireland's Government-protected Gaelic-speaking areas, called "Gaeltachts". 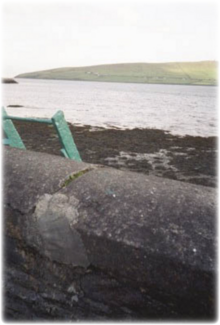 Dingle's Irish name is Daingean Ui Chuis which, to fit on signposts, is generally abbreviated to An Daingean. At the time not a regular cyclist I was concerned to start out so late in the day (1 pm) with a 30 mile (and potential hitch hike) ride ahead of me, especially when the bike had to be returned by 7pm. But every corner turned revealed more and more beauty and the distance hardly seemed to matter anymore. I soon became aware of the many advantages of CYCLING the Slea Head Circuit. At this time of year (and day, with rain threatening) most people were sat in cars. But being on bike, I got the pleasure of a nod, smile or verbal greeting of every local walking their dog, tending to their gardens or also cycling along enjoying the scenery. Also, when the cars has passed, I found myself often quite the only person in sight and enjoyed the pleasure of experiencing a level of nature around me that was now available in an audible capacity as well as visual. It was nice to hear the springs and natural waterfalls running under the road. I pedaled my rented wheels along quiet windy roads, sometimes catching up with the cars at narrow bridges as they bottle-necked waiting to cross. By far though the visuals won out - the views made me rapturous with delight that I chose to do this. I stopped at every opportunity and took photos of the beautiful ocean stretching out beside me or the green hill I was peddling around or the strange bee hive like mounds (archaeological remains). Beyond jut repeating myself over and over again, it is hard to put in words how beautiful this part of the world is. 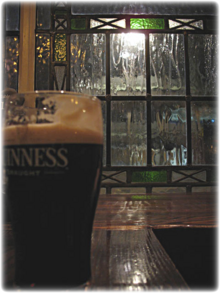 If you go to Ireland, don't miss this.